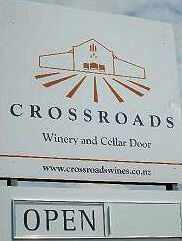 For over 20 years, Crossroads has brought wine lovers the very best of small parcel wine making from Hawke’s Bay, New Zealand. In their vineyards and winery they nurture exceptional New Zealand wine with passion, expertise and unwavering dedication to quality. Click here to see The Cheese and Wine Shops Crossroads selection!